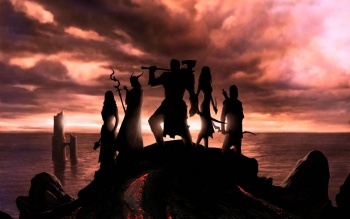 The Neverwinter Formula: "Co-op Dragon Age With a Touch of Oblivion"
Jack Emmert of Cryptic says Neverwinter, the online RPG planned for release next year, will be like "a co-op Dragon Age with a touch of Oblivion." A lot of gamers, myself included, still aren't quite sure what to make of Neverwinter, the new RPG announced last month by Cryptic. It's not an MMO but it's more than just banging around in Neverwinter Nights. So what's the deal? "This is an online RPG, a co-op Dragon Age with a touch of Oblivion's exploration," Emmert told Eurogamer. "That is definitely our goal. "Dragon Age was a very personal experience, and the Neverwinter project is more about exploration and learning about Neverwinter. You're an adventurer, you've been called here [Neverwinter] and you want to seek your fame and fortune like any true D&D adventurer would," he said. "The focus is a little bit different, but in essence yes, we have the cinematics, the NPCs, the voice acting and the so forth and so on." But Emmert also noted that while the game will be an online RPG, that doesn't necessarily mean it will be multiplayer. "You can play solo. You're always online; you're never offline. But you can certainly solo through the content," he continued. "There will be persistent areas you travel to where you might see other players, but nobody's going to hold a gun to your head to play with them. There will be content that is team only, but in those cases, if you want to solo it, you can just hire NPC henchmen." Neverwinter will be similar to Guild Wars, with instanced dungeons, henchman and social hubs, and will offer post-release support "just as if it were an MMO." So why not make things easier for everyone and just call it an MMO? "By re-labeling it I want people going in knowing that we're doing things differently to an MMO," he said. "That doesn't mean that we won't have as many features, it's just that those features might be different." Neverwinter is scheduled to come out sometime next year, exclusively for the PC.